Looking for a fun and easy way to jazz up the same old relish tray for Easter? 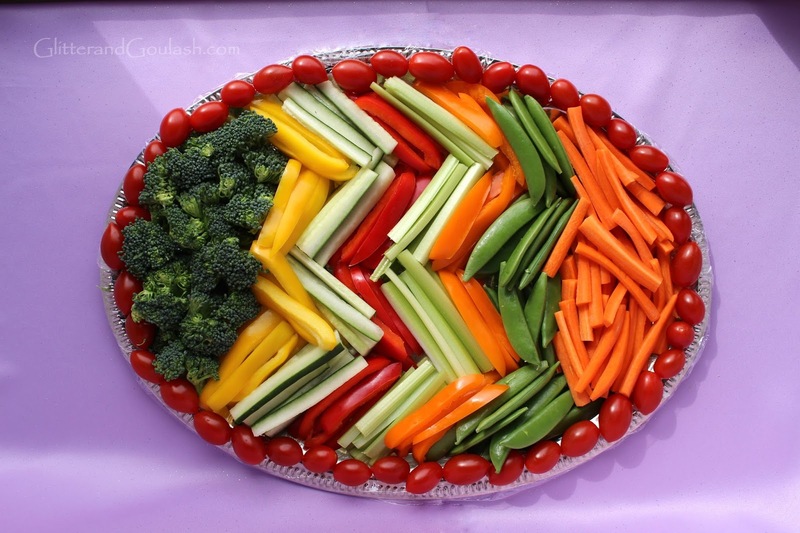 Well, here is a fun idea to transform those veggies into a work of art. Take those delicious and colorful veggies, and arrange them in the shape of an egg. Easy and festive! Whether you serve it on your Easter buffet, or bring it to someones home, you are definitely guaranteed to impress! 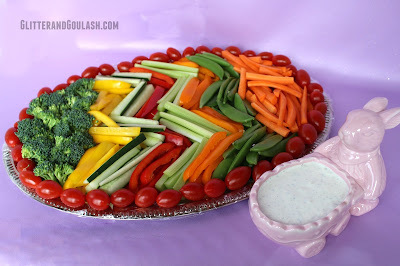 Also, check out my Easter Basket Relish Tray for another fun serving idea. First, you need to find any oval shaped serving platter. 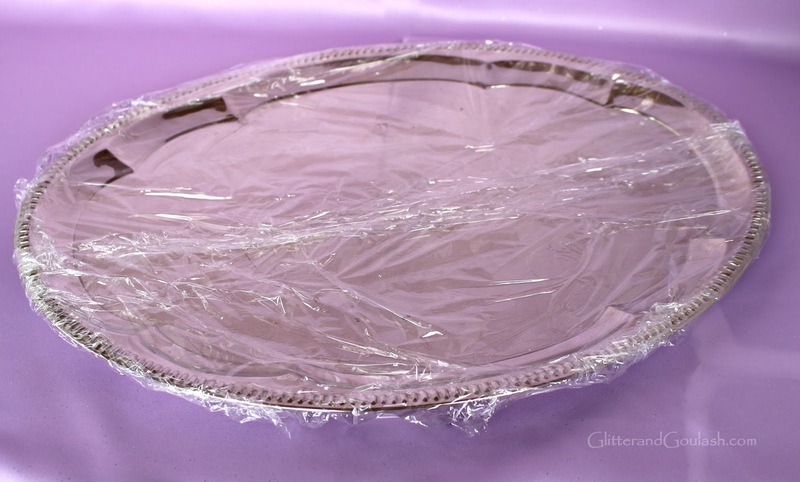 I purchased this silver tray at the local Dollar Tree for…you guessed it, $1.00. If your serving platter is anything other than glass or ceramic, then you will want to cover the platter with cellophane. This will protect your food from various types of finishes that are not necessarily meant to come into direct contact with food. Now arrange your vegetables in zig zag lines. Try to put contrasting colors next to each other to get the most colorful egg possible. Once you are a done, add a side of your favorite dip and your are set to impress! This will become a beautiful addition to any Easter buffet table! Love this! Such a terrific idea! Very clever. I appeciate your creativeness. Im going to try your basket this easter. Thank you for your kind words! I would LOVE to see a picture of your basket when it is finished!! Happy Easter!